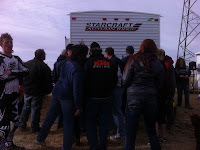 SGC News Hub - Alberta Off-Road News: Alberta's Darin Bullivant Reviews Cactus Coulee! Alberta's Darin Bullivant Reviews Cactus Coulee! Check out Darin Bullivant's race report from Cactus Coulee! 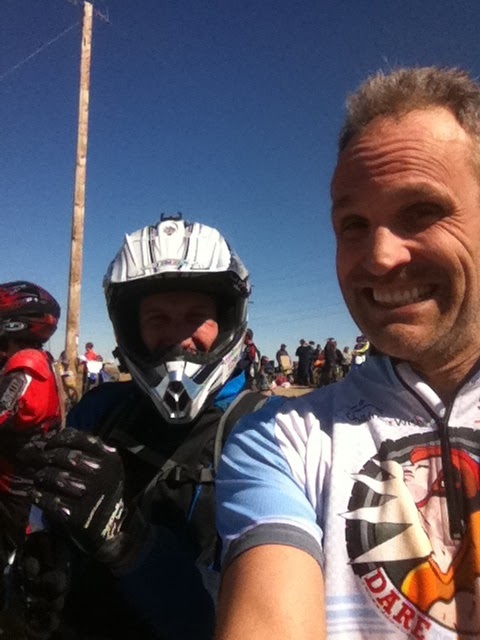 Darin races in the Baja 500 and 1000 as well as many other triathlon events! 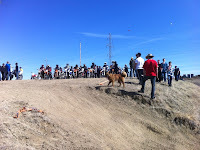 The Cactus Coulie race put on by the Second Gear club= fun, carnage, and all around good times. This was my first time racing in this series and I was impressed by the family oriented "feel" that the club creates. The course was incredibly fun and well thought out and was suitably challenging for the classes. I had the most fun following riders on the morning sidehill that was hiding a frost layer which wreaked havoc with traction. One minute you were fine and the next you were cartwheeling down the mountainside. 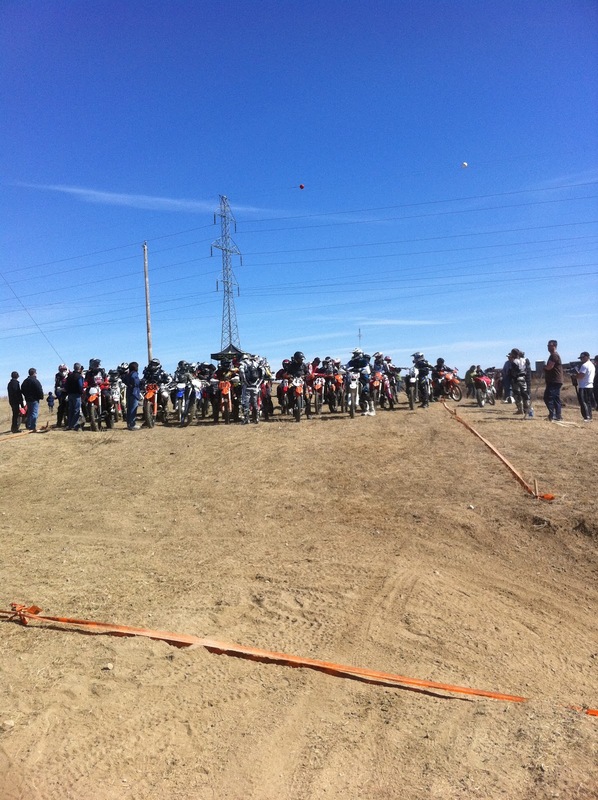 I had several riders go down right in front of me but gravity cleared my path before I ran them over. Luckily the same was true for me when I suddenly found myself kissing the front fender on lap 10 or so. Thanks to gravity for getting me back on the lower line and my apologies to the rider I almost took out when I dropped in. I appreciated your shouts of Holy %$#@# look out...they saved us both. The race director of sorts is a good natured german with more bike experience than Johnny Cambell...mainly because he's a lot older, just kidding Ziggy...haha. 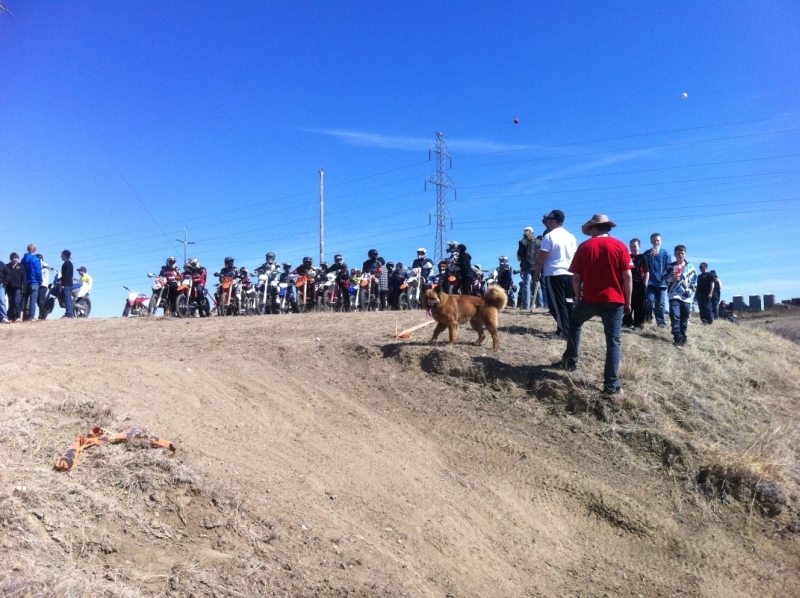 Ziggy started the classes off with an informal wave of a stick he found laying on the ground which at first I thought was unusual, but when your racing for a couple hours the holeshot isn't that important. Once underway, my strategy became...don't fall on the side hill...make it up the hills...don't crash on the teeter totter...and don't stop to pee. It worked well for me until I had to pee, which distracted me causing me to crash on the side hill, which bent my bars, sending me off course on the big hill and into some big steps which in turn, sent me back down the hill. The teeter totter...no problem! The pits and spectator areas were littered with supporters, racers and people coming to get a good laugh at the tire pits. There was comedy in every direction and sometimes I wish I had more eyes so I could look in more directions. More than once I missed something great because I was watching something funny! Best part if the race for me was chatting with new friends like Ziggy the race director or AJ, a volunteer that was on hand to keep riders safe, and old friends like Chris and Anne from Pro Action Suspension who are still out living life to the fullest despite having to face the toughest fights at home. Another family of riders that is close to me is Mika, a vet expert rider, his wife Jenn, and their kids who raced the following Sunday. These are families who are faced with all kinds of challenges, health wise, yet they still find the time to invest into a sport as a family, and create amazing adventures. How many people stay at home and lament their circumstances and don't get to live at all? My hat is off to these families who are unstoppable in their passion. We can all learn from them!